To work with coupons on the site, select "Modules / Coupons" in the top menu and click "Insert". The form for creating a new coupon will be opened. When you hover on the text input field, a short description of the instruction is opened, following them, fill in all the fields. After filling in the coupon data, click the "Preview" button. Before you open the coupon confirmation form. 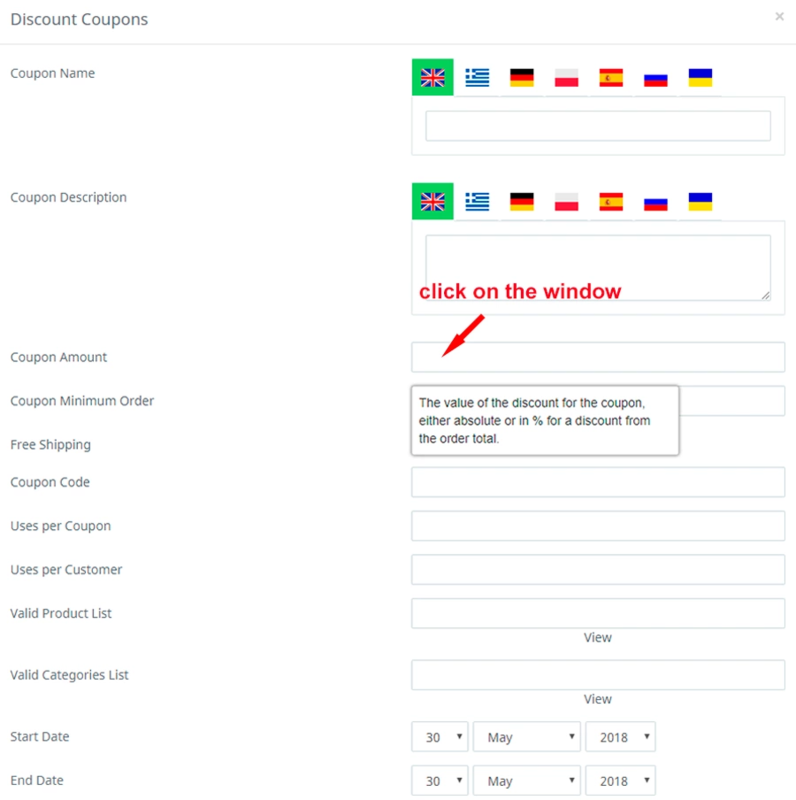 If you find any errors in the form of filling the coupon - click the "Back" button and edit the coupon. If all data is entered correctly - click "Confirm". After that, the coupon is valid and ready for settlement. To use the coupon on the site, your customer should click "Buy" to go to the "Shopping Cart" and enter the coupon code in the modal window and click the "Submit" button. A confirmation text appears that the coupon is valid and the discount has been applied. At any time, you can view the data on using the coupon in the section "Modules / Coupons" by selecting the coupon from the list and clicking the "Voucher Report" button, there you can send the coupon to the registered customer's mailbox, edit it or delete it.